This is a small tutorial, game guide for the video game Sword Coast Legends focusing on issues of character creation our heroes. Compiled information on Character Classes, Character Races, Heroes Background Stories and accompanying bonuses, Character Attributes, Alignments and available Deities. FIGHTER A master of martial combat, skilled with a variety of weapons and armor. CLERIC A priestly champion who wields divine magic in service of a higher power. ROGUE A scoundrel who uses stealth and trickery to overcome obstacles and enemies. WIZARD A scholarly magic-user capable of manipulating the structures of reality. PALADIN A holy warrior bound to a sacred oath. RANGER A warrior who uses martial prowess and nature magic to combat threats on the edges of civilization. Character Races, Subraces and Bonuses Description of Character Races, Subraces and Bonuses in Sword Coast Legends video game. Ability Score Bonus, Racial Bonus, Status Immunity, Proficiencies, Damage Resistance. Character Background Stories and Bonuses Description of Character Background Stories and Bonuses to choose during character creation in Sword Coast Legends video game. Knight, Noble, Outlander, Pirate, Sage, Sailor, Soldier, Spy, Urchin, Acolyte, Charlatan, Criminal, Entertainer, Folk Hero, Gladiator, Guild Artisan, Guild Merchant, Hermit. Character Attributes Description of Character Attributes to choose during character creation in Sword Coast Legends video game. Strength, Dexterity, Constitution, Intelligence, Wisdom, Charisma. Character Alignments Description of possible Character Alignments to choose during character creation in Sword Coast Legends video game. Deities List of available Deities to choose during character creation with chosen character alignment in Sword Coast Legends video game. 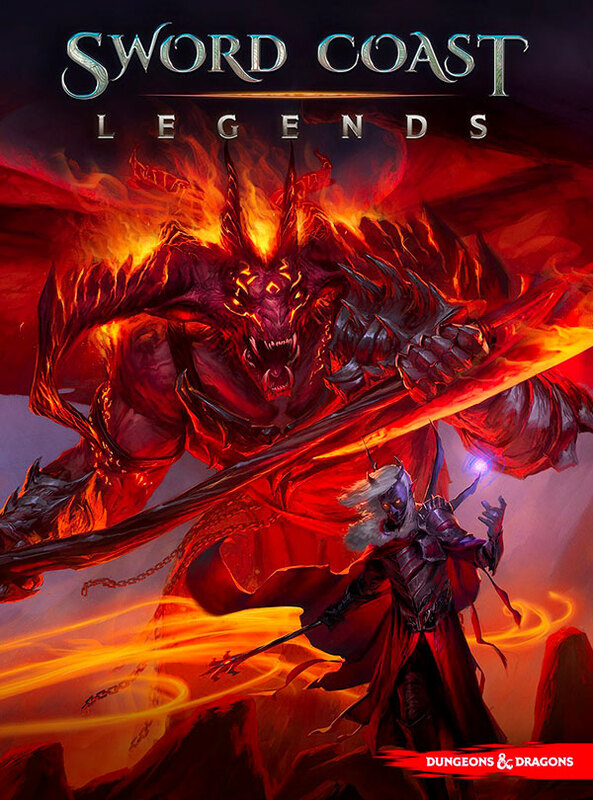 description Set in the lush and vibrant world of the Forgotten Realms, Sword Coast Legends offers an all-new way to enjoy the time-tested magic of playing Dungeons & Dragons as a shared storytelling experience. With a deep narrative developed by a team of long-time industry veterans and a partnership with Wizards of the Coast, the single player campaign of Sword Coast Legends brings the world of Faerun home like never before.